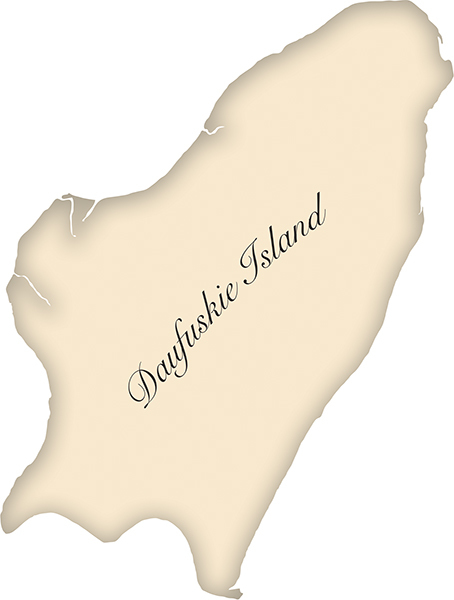 For thousands of years, indigenous Muskogean Indians called Daufuskie Island home. The word “Daufuskie” comes from the Muscogee language and means “sharp feather,” due to the Island’s distinctive shape. In the mid-1500s, Spanish explorers had begun colonization of the Southeastern Coast of the United States, followed by the French and English. 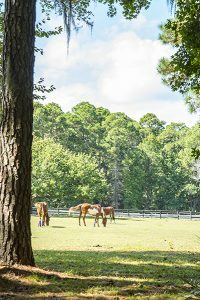 It was during this period that the Spanish settlers introduced their Iberian horses, and descendants of these horses, known as Carolina Marsh Tackies, are found on the Island to this day. In the late 1600s, the Spanish enlisted native warriors to challenge a growing number of European settlements. These clashes culminated in the Yamassee Uprising, three brutal battles between 1715-1717 on the southwestern shore of Daufuskie. The Yamassee Uprising is credited with the area’s present-day name: Bloody Point. The quest for religious freedom brought the great grandson of French Huguenot, David Mongin, and the daughter of Italian Prince Filippo de Martinangelo to the Island, where they became powerful plantation owners. During the American Revolution, Daufuskie received the nickname “Little Bermuda” due to the residents’ loyalist sentiments. Following the Revolution, the introduction of Sea Island Cotton, prized by European mills for its high quality and strength, ushered in a period of economic growth, large plantations and the building of majestic homes. 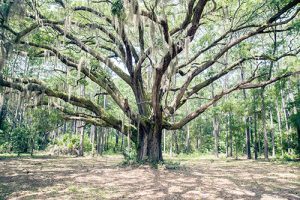 Daufuskie’s vast quantities of live oak trees were prized by shipbuilders for their strength, resistance to rot and naturally curved limbs, which also contributed to economic growth. The USS Constitution “Old Ironsides” was reconstructed from oak harvested on the Island. Prior to the Civil War, Daufuskie boasted 11 plantations with several large tabby mansions, and a large slave population. During the Civil War, the Union forces’ superior naval fleet took command of all Beaufort-area islands early, causing plantation owners to flee their properties and leave their slaves behind. After the war, Daufuskie’s remoteness allowed the Gullah language and culture to survive and flourish for generations. In 1873, the Haig Point Rear Range Light, and in 1883, the Bloody Point Front Range Lights were built to assist ships approaching the Savannah River entrance. During this time, the oyster industry flourished and by the turn of the century the Island had a population of approximately 3,000, mostly working in the shellfish trade. The pollution from the Savannah River eventually forced the closing of the oyster industry in the 1950s. Electricity arrived in 1953 and telephones in 1972. The population shrank to less than 100 until developers planned Haig Point, Melrose, Bloody Point and Oak Ridge in the 1980s. A census in 2007 indicated that there were 429 residents on the Island. Daufuskie Island has a rich legacy of Gullah history. Thanks to the Daufuskie Island Historical Foundation’s restoration efforts and the influx of tourism and artisans, the Island’s identity and culture should continue. Thanks go out to the Daufuskie Island Historical Foundation for allowing us to use information from their website: Nancy Ludtke, President; Bert Herndon and Michael Hrizuk for help with images, and Chase Allen and Renee Harding of Tour Daufuskie for their assistance.